Not all IT services providers are created equal. There are many different specializations that providers can take, and each come with their own legal hoops and security certifications that they have to be aware of. You have to make sure you find a provider that not only knows your industry, but won’t charge you exorbitantly for their services. Generally speaking, there are two types of providers. On one side of the fence are those that really only just fix problems. This is not a bad thing, in fact it’s great for companies that only want fixes when things go wonky and that’s all they want to pay for. Unfortunately, though it sounds barebones, the service company may charge large fees for each repair. The second type are “management” companies. These providers usually charge a flat monthly rate, and specialize more in preventative measures rather than reactive measures. Their goal is to make sure nothing goes wrong in the first place so your business can keep operative smoothly. Working with one of these providers can give you a real ROI. While no managed service provider can be an absolute expert in every aspect of the computer world, they can definitely be proficient in more than one discipline. You need to find out ahead of time what they have experience in. While working with an IT company that claims they are experts in the medical and accounting industries is great, what if you’re a law firm? You need a provider that can meet your particular needs with an expedient support staff that you can get in touch with whenever you need to. Also, you absolutely, positively need to see case studies from clients to back up any IT provider’s claims! Nobody likes to think about disasters before they happen, but you need to know that an IT provider knows how to handle any major problem. This could be natural disaster, human error or a data breach by a hacker. 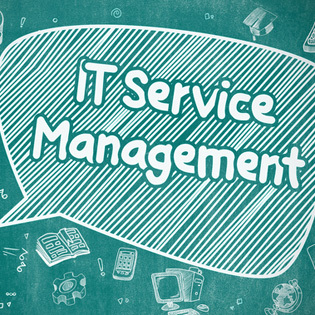 From backups and security to cloud-based document management, you need a service management provider that understands your needs. It may benefit your company to look toward a cloud hybrid situation where IT problems can be resolved quickly, and all your sensitive data is safe in-house. Find out how TOSS C3 can help your law firm move forward by checking out our Services page or call us anytime at 1-888-884-8677!